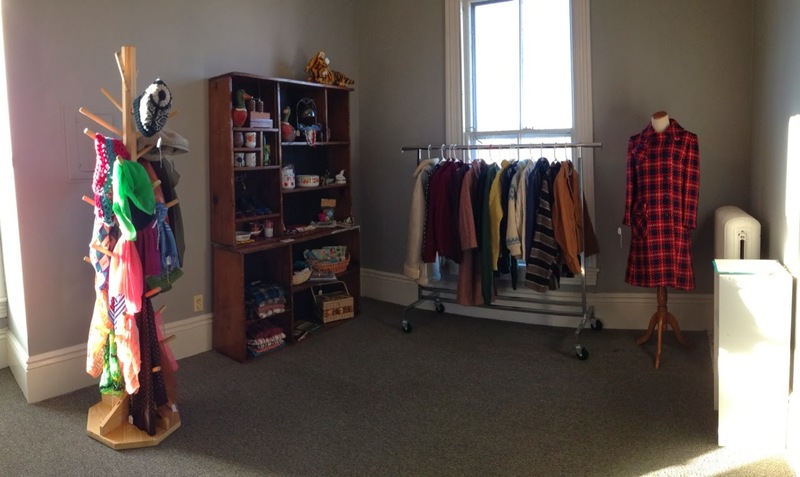 Well, the boutique is ready for action! There are still a few details I'd like to take care of but all in all it's ready for shopping. 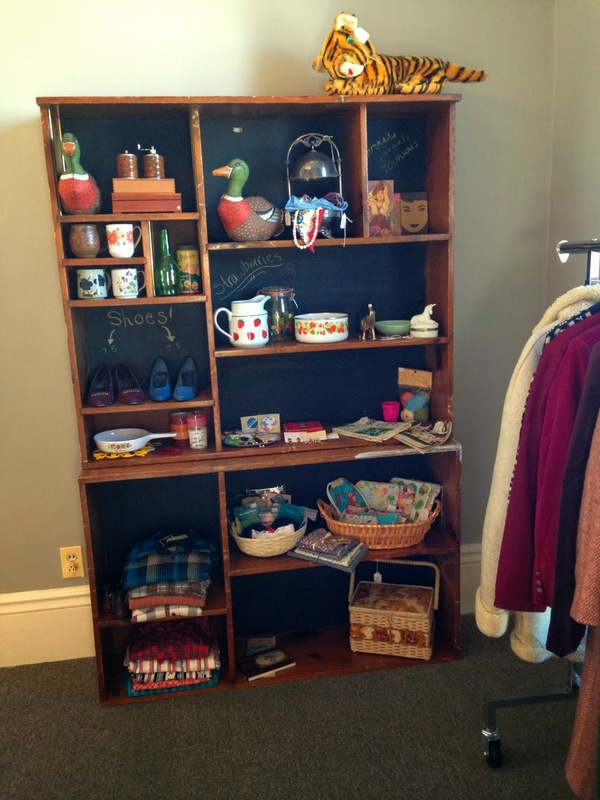 The garment rack is filled with thick wooly sweaters, crisp blazers and cozy coats. On the shelves you'll find a selection of various things I find appealing. 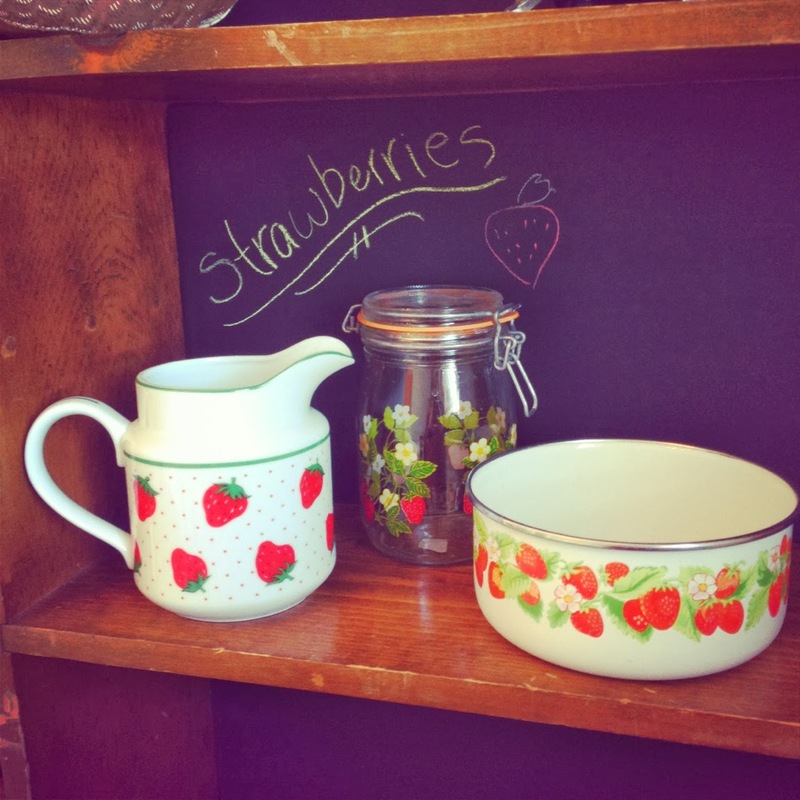 Such as this miniature strawberry collection. 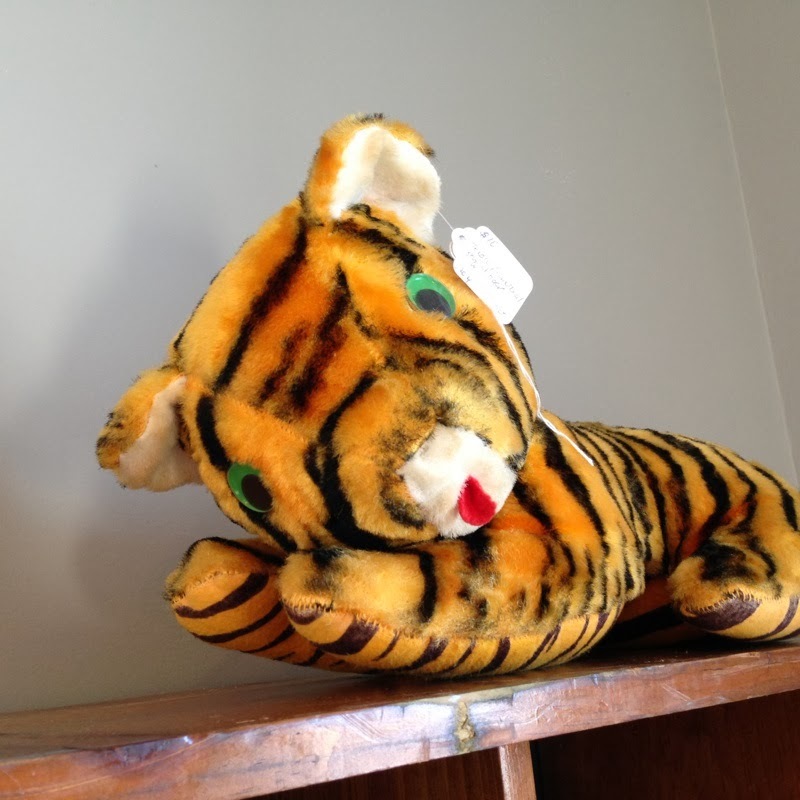 This very silly vintage tiger toy. 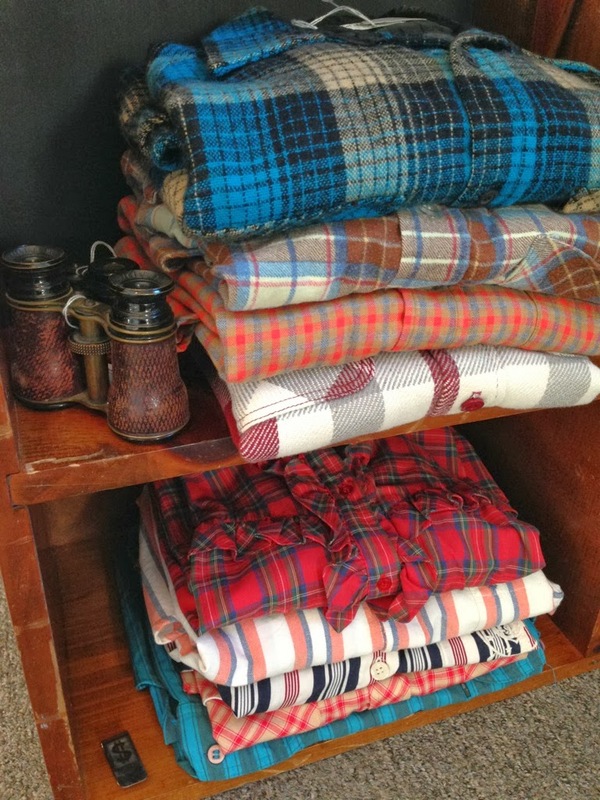 These cozy flannels and button ups for both men and women. Plus some field binoculars for all the adventures you'll go on in those flannels. 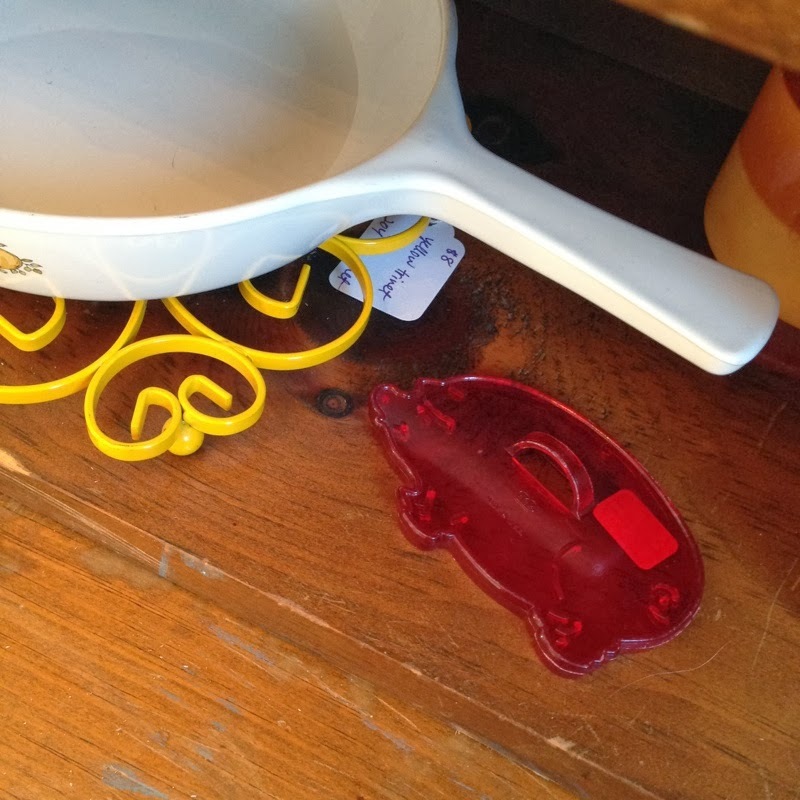 This silly piggy cookie cutter. 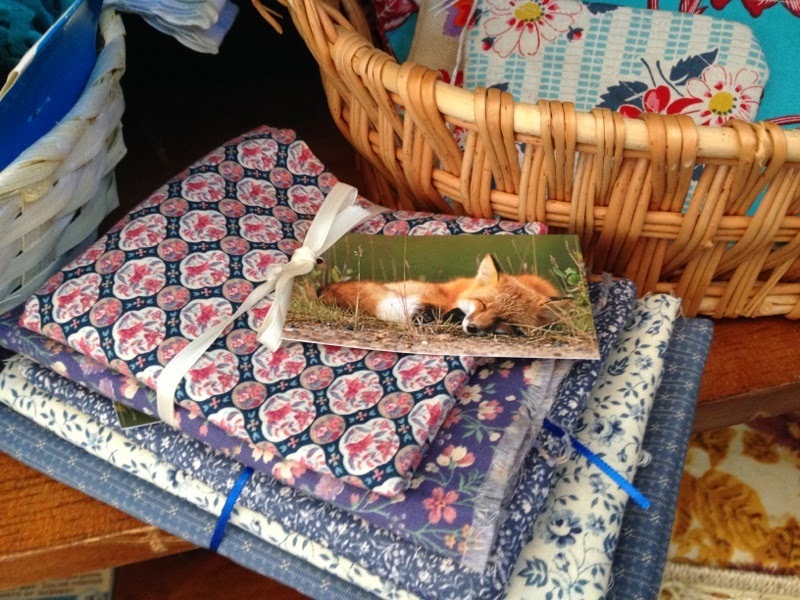 Vintage fabric bundles and handmade zipper pouches. And other goodies. As you can see, I finished up the shelves. I love the blackboard background...Terribly fun. I think I need to work on my lettering though. 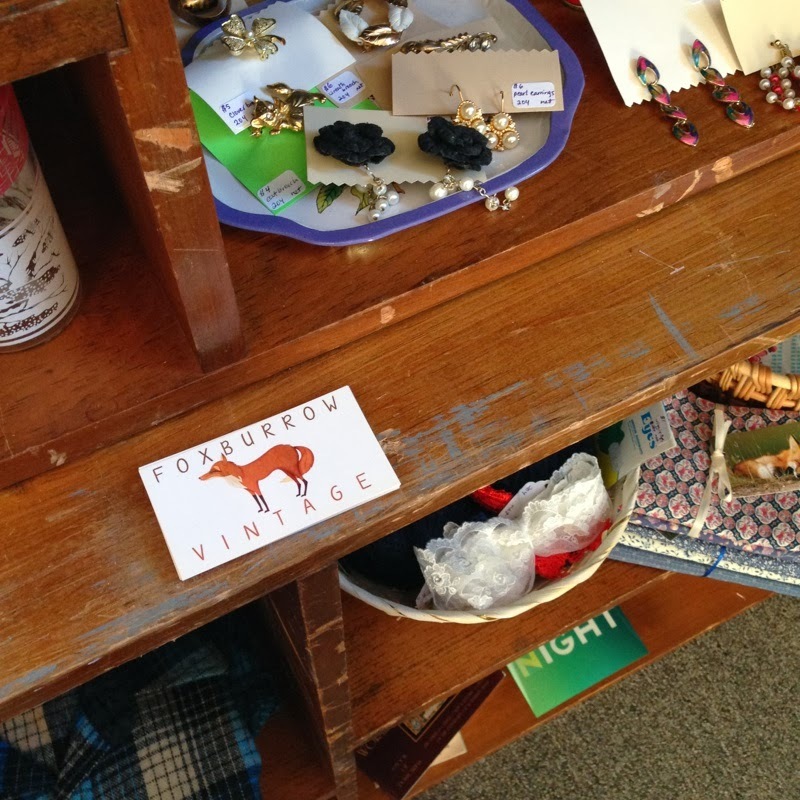 So come by and visit when you can...257 Main St, Nashua NH 03060! Second floor in its own room.